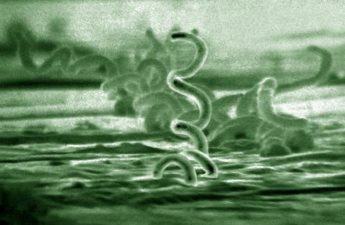 Why Aren’t More STD Patients Getting This Proven Treatment? Nearly 2.3 million times last year, Americans learned they had a sexually transmitted disease. 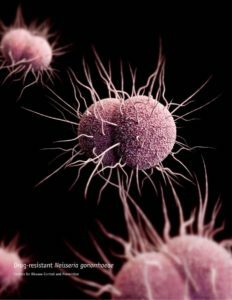 Despite record-high infection rates for chlamydia and gonorrhea, most patients receive treatment only for their own infection — when they probably could get antibiotics or a prescription for their partner at the same time. The Centers for Disease Control and Prevention has recommended this approach — called expedited partner therapy, or EPT — since 2006 to slow the growing epidemic. Most states have laws allowing doctors who diagnose a patient with an STD to write a prescription or provide medications for his or her partner, even if that person isn’t present. The laws also allow clinics and pharmacies to distribute STD treatment for partners. In a new paper in the American Journal of Public Health, three University of Michigan physicians describe the barriers to getting expedited partner therapy to more people. Overcoming those barriers, they say, could prevent many STD infections, including reinfections of people who have already been tested and treated. Many major medical societies have endorsed EPT based on evidence that it’s cost-effective and safe, but it’s still underused across the country. EPT is one public health issue where public policy is ahead of clinical practice, says Cornelius Jamison, M.D., MSPH, M.Sc., who led the team behind the paper. He also leads current research diving deeper into the barriers that may prevent clinical implementation and use. 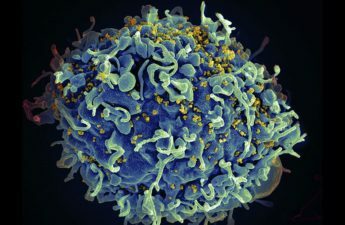 “We need to make sure everyone in the medical and public health community has a basic understanding of what expedited partner therapy is, how it can work and what it will take for it to reach widespread use,” says Jamison, also a family physician and member of the U-M Department of Family Medicine and Institute for Healthcare Policy and Innovation. Which is why the new paper includes a conceptual framework that diagrams all the potential barriers to EPT use, to help guide future work to overcome them. Some of the barriers to widespread use of EPT relate to the very nature of the diseases it’s designed to treat — as well as the stigma attached to an STD infection. This can drive teens and young adults to avoid seeking STD testing and care in ways that would tip off their parents to their infection status through insurance records, bills or notifications of a positive test result. Instead, Jamison says, these patients may seek diagnosis or treatment at a walk-in clinic on a free or cash basis. This means that such sites are especially important to increasing the use of EPT. Similarly, these patients’ partners may not have insurance or may not want to use it to pay for an STD test or treatment. A packet of EPT antibiotics given to them by a partner who was tested and treated could overcome these barriers, Jamison says. So could a prewritten prescription. The drugs used to treat chlamydia and gonorrhea are often prescribed together, even if the patient tested positive for only one infection. Taken together, a 1-gram dose of azithromycin (sold as Zithromax) and a 400-milligram dose of cefixime (sold as Suprax) can clear both infections. The cost of the EPT medications can vary, but even low costs can be a barrier for low-income people or teens paying out of their own pockets, Jamison notes. “We need to make sure everyone in the medical and public health community has a basic understanding of what expedited partner therapy is, how it can work and what it will take for it to reach widespread use.” — Cornelius Jamison, M.D., MSPH, M.Sc. Several guidelines recommend that all sexually active teens and young women be tested for chlamydia and gonorrhea every year. Some recommend testing for older women, depending on sexual activity. However, not all providers screen consistently, which means infections can linger. Left untreated, they can lead to pelvic inflammatory disease, infertility and increased risk of HIV in women. Recent increases in screening and treatment mean more opportunities for providers to talk with patients who have STDs about the importance of getting antibiotics to their sexual partners, as well as practices such as condom use that can prevent STDs from spreading. Jamison worked on the new paper with fellow IHPI members Tammy Chang, M.D., MPH, M.S., of U-M Family Medicine, and Okeoma Mmeje, M.D., MPH, of the U-M Department of Obstetrics and Gynecology. They say that besides the clinical barriers to EPT, some policy hurdles remain. Seven states and Puerto Rico lack precise laws that give clear legal status to EPT. South Carolina and Kentucky do not allow EPT. Physician and pharmacist reluctance to provide EPT to their patients could stem from concerns about liability if an EPT recipient experiences side effects — even in states where the law protects them, Jamison notes. More data are needed on the prescribing and use of EPT in all settings nationwide, and on the specific steps clinics could take to ensure EPT is provided or prescribed to appropriate patients. For instance, protocols in electronic health records could assist by automatically suggesting EPT to physicians when they diagnose a patient with an STD.